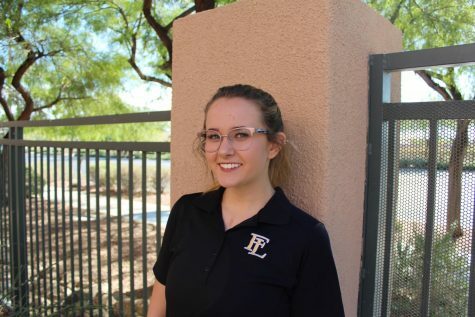 Courtney Wardle is entering her senior year at Faith Lutheran; over her years here she has been very involved in activities including DECA, Mock Trial, Moot Court, and soccer. In her free time Courtney does a lot of yoga and likes hanging out, doing adventurous things with friends. When she graduates she hopes to major in communications. Courtney wants to write lots of stories through the Crusader Chronicle that will interest a variety of people.